Between July and September, DHL’s revenue increased by 1.4% year on year to €14.8bn. This was driven by its Express and Global Forwarding, Freight divisions helped by the growth of e-commerce and momentum in international trade flows. The Group’s operating profit came in at €376m for the third quarter. 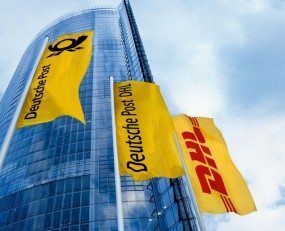 Revenue in DHL’s Post – eCommerce – Parcel (PeP) division was €4.3bn, for Q3 2018, representing an increase of 0.6% from the previous year period. Revenue decreased, in the Post business unit, by 4.4% to €2.3bn due to declines in volume of 4.4%. On the other hand, the eCommerce – Parcel business unit grew its revenues by 6.7% for Q3 2018 totalling a figure of €2.1bn. This was driven by rising demand with volumes increasing by 8.4% to 1,047m parcels. Operating profit in the PeP division amounted to €209m, compared with €307m in the previous year. The decline was attributed to the one-time expenses announced last June for initiatives to try to improve PeP’s profitability. DHL’s Express division increased revenues by 7.2%, in comparison to the previous year, to reach a total of €3.9bn. This was mainly attributable to growth in the international time-definite (TDI) delivery business, where daily volumes rose by 5.3% compared with the prior-year period. The Express division grew operating profit by 9.9% to €409m on the back of strict yield management. Divisional revenue for Global Forwarding, Freight, increased by 4.2% to €3.7bn. Despite a 4.3% drop in air freight volumes, increased freight rates resulted in revenue increasing by 8.4%. Ocean freight revenue fell by 1.9% in the reporting period. Operating profit at Global Forwarding, Freight climbed by 58.2% to €106m. Revenue in the Supply Chain division came in at €3.3bn in the third quarter representing a decrease of 6.4% from Q3 2017. In addition to negative currency effects, the revenue decline mainly reflects the sale of UK subsidiary Williams Lea Tag. Operating profit improved by 3.4% to €153m.